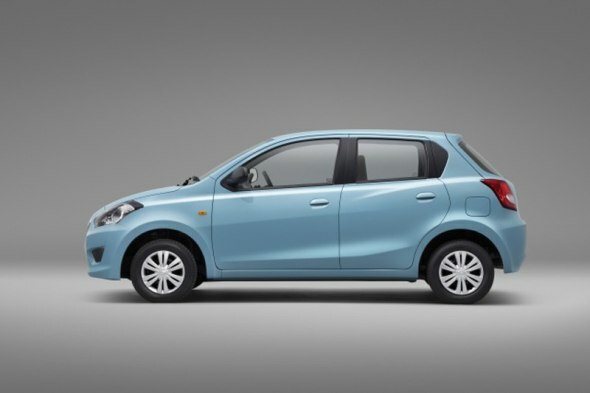 Snapshot: Nissan India will kickstart production of the Datsun Go hatchback at the Renault-Nissan joint manufacturing facility on the 4th of February, 2014, days ahead of the Indian Auto Expo. The car will be showcased at the Expo, along with the Go+ MPV and the i2 concept hatchback. The Datsun Go hatchback is the first product from Nissan’s recently resurrected low cost car brand. The Go hatchback will go on sale from March 2014. Currently, Nissan India is exhibiting the Datsun Go hatchback through a 100 city roadshow across the country. The Datsun Go hatchback will be sold with the 1.2 liter-3 cylinder HR12DE petrol engine borrowed from the Nissan Micra and Renault Pulse car models. In the Datsun Go, this engine will output 67 Bhp-104 Nm, a state of tune that is common to the Go and the Nissan Micra Active hatchbacks. The petrol engine will be mated to a 5 speed manual gearbox that will drive the front wheels of the car. 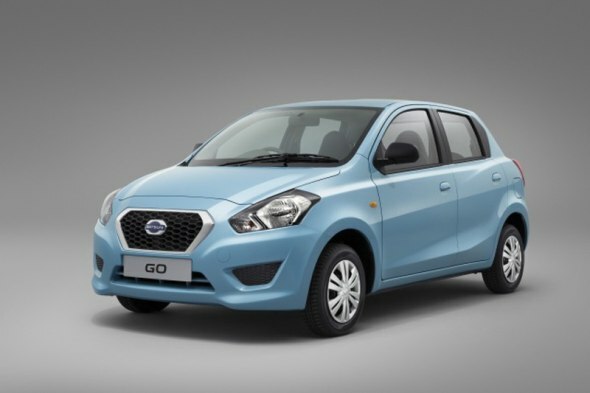 A diesel engine for the Datsun Go isn’t in the scheme of things. All variants of the car will be priced at ex-showroom prices that are lower than 4 lakh rupees. The Go hatchback is based on the Nissan Micra V platform but is heavily watered down to bring the price to lower levels. The car comes with bare basic interiors with a music system making way for a USB port. The dashboard mounted gear shifter is aimed at liberating more space for the front passenger. Three adults can be squeezed into the flat front seats of the Go hatchback and this is perhaps something we’ll see as more of these cars hit Indian roads. The rear bench is flat and capable of seating 3 adults. The Datsun Go is likely to be positioned as a budget alternative to the likes of the Maruti WagonR and the Hyundai i10.